For tire dealerships and auto service centers, this is good news as it suggests people will maintain their existing vehicles longer. Which means a greater reliance on regular service and replacement parts, particularly new tires. Car dealerships worry that rising interest rates could hurt sales next year, especially if automakers reduce incentive programs. The Federal Reserve Board is expected to raise rates this month, and one or two more rate increases are likely during the early half of 2019. After that, rates are expected to hold steady. The seasonally adjusted sales rate for 2018 has topped 17 million nine out of 11 months this year. The NADA reports that sales were expected to fall below 17 million units this year. However, due to the federal government’s tax reform bill that temporarily put more money in the hands of consumers, this did not hold true. “This was unexpected. 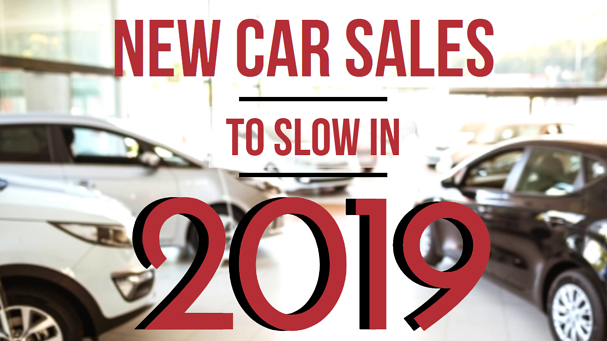 We were expecting sales to fall off a little more than they have this year, but then the new tax law was passed which put more money in the pockets of consumers and they certainly purchased new vehicles at dealer showrooms,” Patrick Manzi, NADA senior economist, said in a statement. One trend that continued this year was growing consumer interest in light trucks over cars. Manzi said driving this growing shift are low gasoline prices and better technology that makes crossover utility vehicles nearly as fuel efficient as mid-sized cars. Automakers have also delivered bigger SUVs and pickups with greater fuel economy than before. “We also expect gasoline prices to remain relatively low in 2019, not as low as present, but still low enough not to cause a panic and a consumer shift back to the car market,” Manzi said. Used vehicle sales represent the good news this year. They were up 2% this year through late November, according to the NADA. This increase is due in part to more off-lease return vehicles headed to the used vehicle floors of local dealerships. They provide a low-cost alternative for consumers who worry about high monthly costs of buying new.